Hudson Valley Flying Circus | MILAN SPISEK WINS CONNECTICUT STATE VAULT …. GIRLS also SOAR!!! MILAN SPISEK WINS CONNECTICUT STATE VAULT …. GIRLS also SOAR!!! 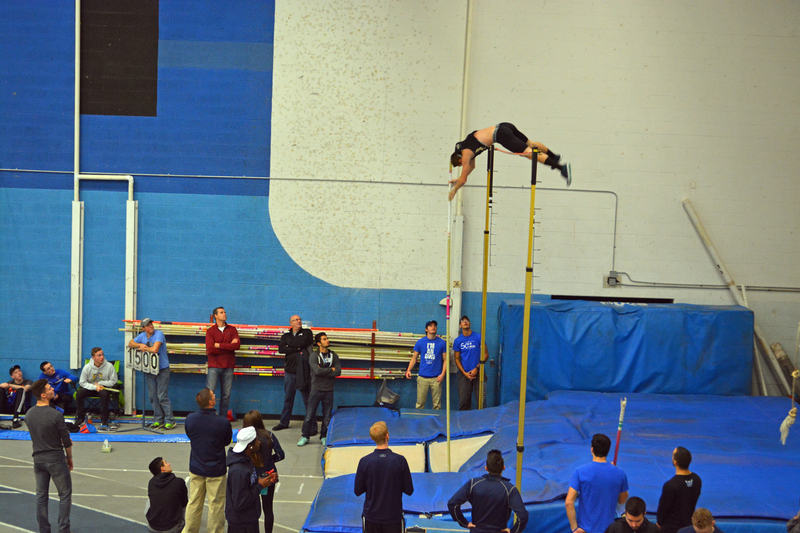 MILAN SPISEK of Joel Barlow High School soared today to the Connecticut Indoor State Pole Vault title…with a 15′ 0″ clear sail for the gold medal. The likable and strong senior used his UCS Spirit 15′ 1″ x 165lbs to the max and had close bars at 15′ 5″. Coach Cauthers and Coach Duffy provided the technical assist all day for the Boys and Girls Circus Vaulters!!! ALSO SOARING @ STATE was Danielle Cass of Weston High School… with her second place 11′ 6″ personal best and a trip to the NB Nationals on March 10 at the NB Armory in New York City. Placing third was junior Lia Zavattaro of Greenwich,CT with another new school record of 11′ 6″ and third place and a ticket to NB Nationals Emerging Elite. Placing forth was Newtown,CT senior star distance/vaulter..Lauren Russo.. with a super 11′ 0″ night. Full Results coming soon…. Flying Circus.